Thinking about buying your first home? The first steps for first time home buyers to get started. Buying your very first home can be exciting and rewarding. It is one of the biggest purchases you will ever make and a big milestone in most people's lifetime. So it is important to feel educated and ready to purchase a home before making the plunge in becoming a homeowner. A common inquiry I get when working with first time home buyers is, "What is my first step I need to take on my journey to purchasing my first home?" Some may think the first step is to schedule showing appointments for some houses they found interesting online and get started in finding a home they like and dream of owning. But, in fact, there are several crucial first steps to take when beginning your home search that HGTV's "House Hunters" completely skips over and is not going to show or tell you. One of the very first things first time home buyers want to think about and prepare for is saving up money for a down payment and other upfront costs that can come with purchasing your first home. The minimum down payment you need when purchasing a home is 3.5% of the purchase price. So you will want to make sure you have that and any other extra money for some closing costs you may or may not have depending on how negotiations with the sellers pan out. When purchasing a home, not only do you look for a home that fits your needs and wants, but you're also looking for a neighborhood and community you can enjoy and sustain a great quality of life. The residents in Delano feel they have found just that in a recent 2010 survey conducted by Delano city officials. In fact, in the recent 2010 survey, 66% of residents feel the "quality of life" in Delano is good and another 25% feel it is excellent. When surveyed what residents "perception of community" is for Delano, 85% call it home while only 9% call it just a place to live. And 77% feel the city is "heading in the right direction" with their award winning school district, park systems, and steady growth. Another positive to living in Delano is that 54% feel property taxes are about average in comparison to other cities in the area. Whether you are a first time home buyer, an empty nester looking to down size, or any buyer in between, Delano has housing options for every type of home buyer.Neighborhoods such as Woods Creek, Clover Springs, and West Ridge have a great mix of single family home options for both the first time home buyer and move up buyer. The 55+ townhome community is strategically located adjacent to the pharmacy, clinic, and grocery store in Delano for easy proximity and convenience. And for the buyer who is looking for a more urban feel, the downtown area of Delano boast contemporary styled condos that are within walking distance of local bars, restuarants, and a coffee shop. Delano is located 25 miles west of downtown Minneapolis just off Highway 12 (394) making it an easy commute into the city while still maintaining the small town feel. If you'd like more information about Delano and the surrounding area please contact The Homes of Minnesota Team. Forbes Ranks Minneapolis/ St. Paul #1 as America's "Most Relaxed City"
Feeling stressed all the time? It may be because you are living in the wrong city. Cities with high unemployment, snarling traffic, and long working hours can have a major impact on your physical health and well being. Stressful environments can take its toll on your health causing everything from headaches, back pain, high blood pressure, and heart disease. So where can you escape from stress and live in a more relaxed environment? A recent Forbes study suggests the Minneapolis/ St. Paul metro area. This metro area of roughly 3.2 Million people boasts lower unemployment at 7% compared to the current national unemployment average of 9.6%. Less than 5% of commuters spend their morning in traffic and 84% of the population reported recent exercise- the best workout rate of any city surveyed. The Twin Cities also ranks high with access to quality health care. So are you ready to break free from stress and move to a more relaxed, healthy environment? 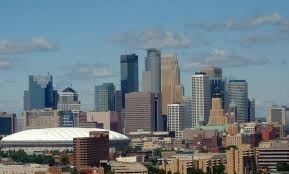 Contact Shannon Sand with the Homes of Minnesota team to help you relocate to America's "Most Relaxed" metro area. 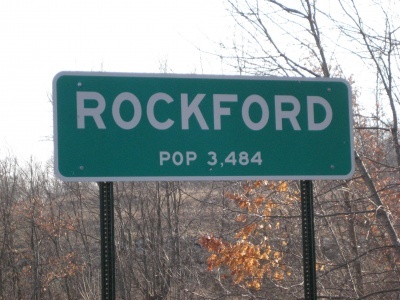 Rockford, MN is situated just west of Plymouth along the beautiful Crow River. The city's rolling hills and mature trees offer a multitude of affordable options for home buyers in comparison to many other western suburbs of the Twin Cities. Rockford's downtown area is booming with everything from bars and resturants to small businesses and the city's largest park and library. It also boasts a "state of the art" school district where the elementary school has taken a unique approach to adopting an art's inquiry-based curriculum. Neighboring Rebecca Lake Park Reserve offers year-round fun with a public beach on Lake Rebecca, canoeing access on the Crow River, and miles of biking and horse riding trails throughout the park. 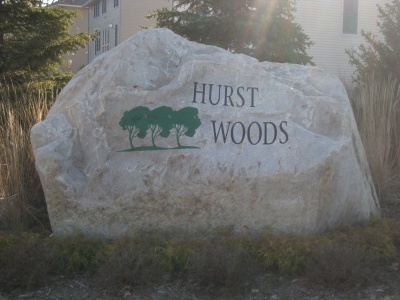 One of the newest neighborhoods in the city of Rockford is Hurst Woods. These new construction 2 story homes overlook the Crow River in a very family oriented, wooded neighborhood and are priced in the upper $200's. Contact the Homes of Minnesota team for more information.